Can friendship overcome all in . . . The Chocolate Lovers' Christmas. I was particularly excited to read this book, by one of my favourite authors, and it didn't disappoint. This is Carole Matthews' 27th novel, and the 3rd in the series about the Chocolate Lovers' Club. Although I hadn't read the previous 2 novels, I felt that the story stands alone nicely with just the odd time that the reader might feel that there was a history that they were missing out on. The members of this exclusive club are Lucy, Chantal, Nadia and Autumn. 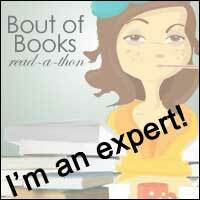 All are strong characters in their own right and all are ladies I would love to sit down and natter with over a cuppa. They are all you could want in a friend: loyal and always there when you need them. Lucy manages a coffee shop called Chocolate Heaven, which is pictured on the book's lovely cover. The shop sells the most amazing sounding chocolate confectionery and cakes, as well as beverages, including rich hot chocolate. Much of the action takes place in the shop, where the friends gather, and lots of chocolate is consumed there and at various other locations. I'm not sure how they can eat all of that without putting on tons of weight. 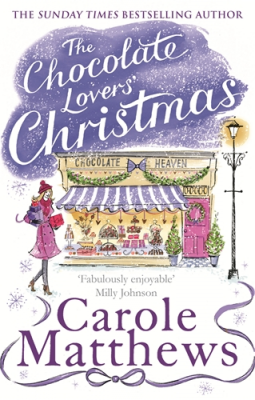 The story follows the lives of the 4 chocolate-loving ladies in the run up to Christmas one particular year. Each of them has problems in their home lives and the others are always ready to rally round and help wherever possible, chocolate in hand of course. There is never in a dull moment in the pages of this book. There is drama and humour, sad times and happy times, all culminating in a lovely snowy Christmas Day in one of my favourite locations in England. Perfect! As you can probably tell, I loved this book, and would recommend it to anyone wanting a good read over Christmas or needing something to get them into a christmassy mood. Don't worry if you are not familiar with the members of the Chocolate Lovers' Club - they will welcome you into their group with open arms, especially if you have a few chocolates tucked away somewhere!